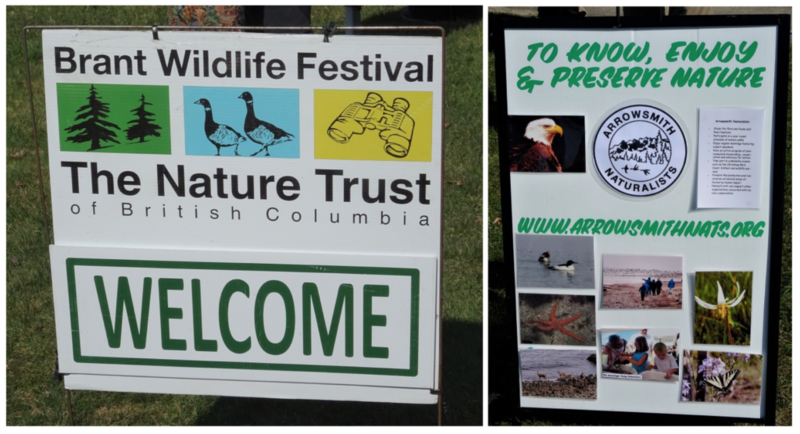 Eight members from the Nature Nanaimo club ventured up to Parksville to experience part of the annual Brant Wildlife Festival. 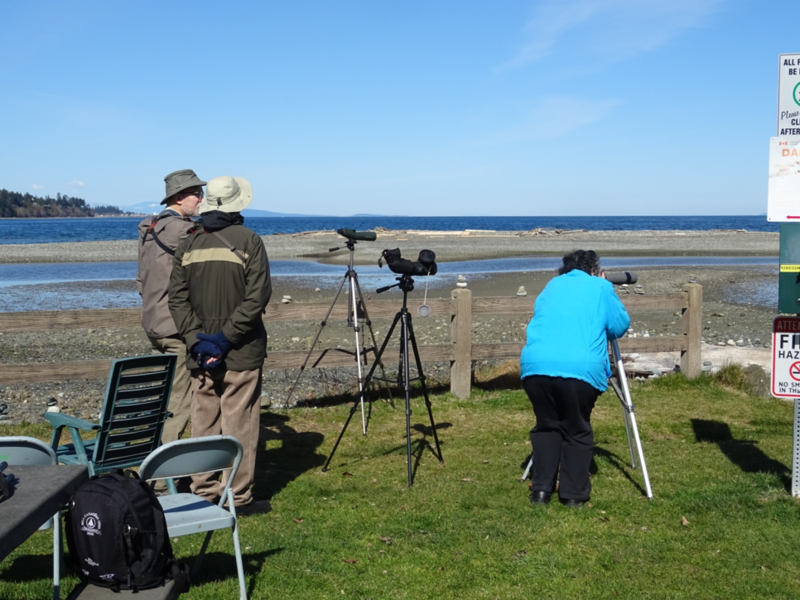 Hosted by the Arrowsmith club, Brant in the Bay featured a number of scopes that visitors could use to view a gaggle of Brant geese feeding in a sheltered coastal lagoon in Parksville Bay, at the southern end of the waterfront community park. Lynn Brooks from the Arrowsmith club gave a brief presentation to the group, and her friendly colleagues offered additional useful information and assistance to visitors. The club has been very active in maintaining counts of the migrating Brant geese while in the area. 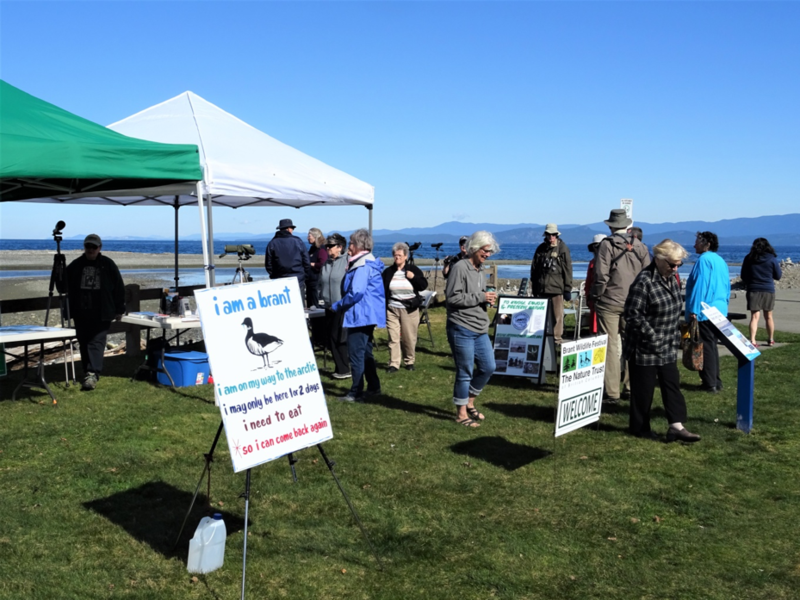 According to their data, Rathtrevor Beach consistently attracts the highest numbers of birds. An informative brochure was distributed that outlined some of the migration patterns and other characteristics of Black Brant geese, including preferred habitats and primary foods, such as eelgrass, sea lettuce and herring roe. An errant bald eagle drifted in during our visit and quickly scattered the geese, which fled further along the bay. The eagle remained on the beach for over an hour, while the geese gradually made their way back up the shoreline. Despite a cool breeze along the water, this turned out to be a very pleasant outing and well worth the visit.